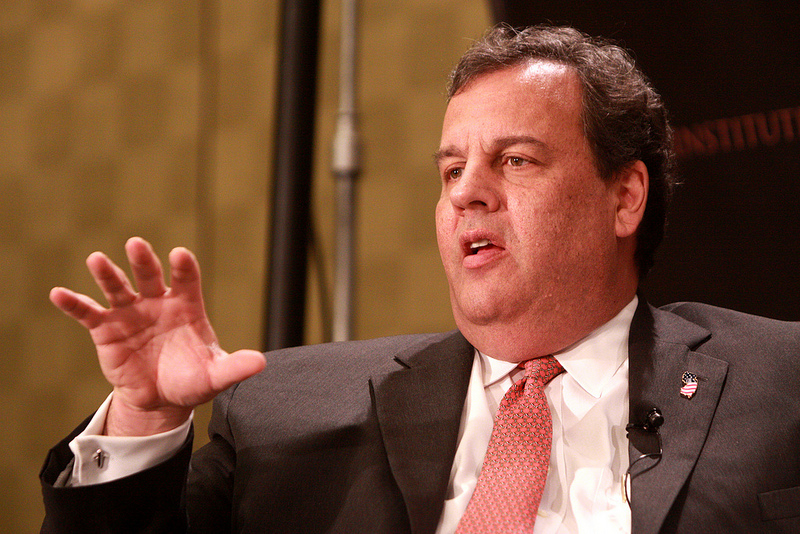 Latino Problem on Christie’s Horizon? Last December, New Jersey’s governor, Chris Christie, signed a bill granting in-state tuition to undocumented students. On January 7th, the governor took part on a ceremony where he publicly signed the bill, arguably sending a strong message on his stand on immigration. The bill is a compromise between New Jersey’s Democrats and the Governor, who vetoed a portion of the bill that made undocumented students eligible for financial aid and grants. In the long run, this bill may prove to be crucial for Christie if he decides to run in the presidential election of 2016. It will either become an advantage if it helps him attract the Latino vote, but it can also turn out to be a hindrance during the primaries. During the 2012 primaries, Mitt Romney took a hardline on immigration, playing to the extreme members of his party. Responding to a debate question about his stance on the issue, Romney asserted that the solution was to make it harder for immigrants to obtain work, which would eventually result in financial struggle for immigrant families and ultimately “self-deportation.” Romney tried to soften his position once he clinched the Republican nomination, but it was all too late. According to the Pew Hispanic Center, President Obama obtained 71% of the Hispanic vote, while Romney took 27%. Despite President Obama’s record on deportations and so far, the failure of his administration to pass immigration reform, Democrats have shown, or at least are perceived to have shown, a willingness to find a solution that would regularize the status of the undocumented. While some Republicans are slowly turning around on this issue, realizing the importance of immigration reform for Latino voters, there is still a segment of the party that continues to take a hardline. Many remain hopeful that comprehensive immigration reform (CIR) will pass during Obama’s tenure; it certainly seems like things are moving in that direction. However, whether CIR passes or not, come time for the primaries, Gov. Christie may have to answer questions about his current position on immigration and the passing of this DREAM Act type bill in New Jersey. We are less than two years away from the primaries. If Christie runs, he will likely have to respond to the nativists within his party, just like Romney did. In the last few months, Congress members like Tea Party darling Ted Cruz have proven capable of derailing any hope for bipartisanship and will certainly work hard against immigration reform. In the end, whether the signing of this bill in New Jersey will become an asset or a liability for Christie is yet to be seen but it is undeniably a risky move on his part. It is a gamble and one that may pay off if Christie emerges relatively unscathed from the recent scandals surrounding his administration, and decides to run for the presidency. Only time will tell.